Even though a fan of monochromatic looks in winter, I can never entirely give up colour or lock away anything with a cheerful pattern for a good few months at a time. Thankfully winters in Athens are mild and allow for bare legs and mini skirts for a good chunk of time! Browsing a little on Mombasa Rose I found a few dresses which could be worn on a full year basis, with the appropriate outerwear and accessories -et voila! Love this look! It's so bright! 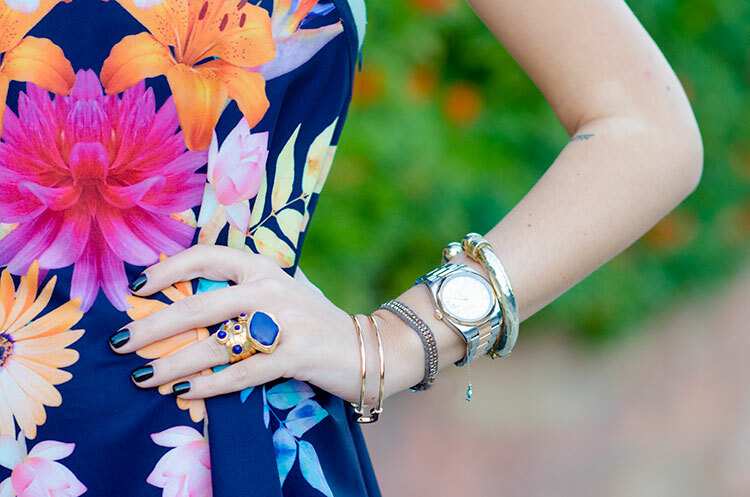 floral dress and sunglasses are awesome.. Very cute dress!Very well combined with complements!! Thank you for follow me in chicisimo. Wow fantastic outfit, I love it! such a lovely dress, the sandals are also stunning. Oh goodness, You look amazing!!! I Love your shift dress! Adorable.